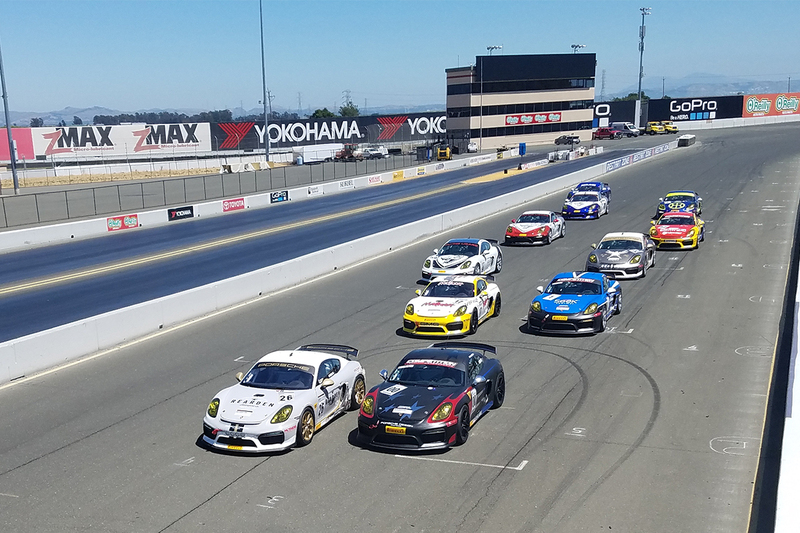 Sonoma, Calif. (22 May 2017) – Race four of the Pirelli GT3 Cup Trophy USA season saw another close and exciting event on Sunday, as a field nearly 30 strong raced hard for 20 green flag laps on a hot and dry afternoon at Sonoma Raceway. 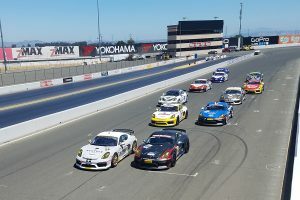 Mark Nelson, driving for Southern California-based Competition Motorsports, came away with the victory after a race-long battle with pole sitter and race 1 winner Dino Crescentini. Crescentini, driving the No. 34 Crescentini Racing Porsche GT3 Cup Car, battled with Nelson throughout the 33-minute event. Nelson put his Porsche 991 GT3 Cup Car into the lead late in the race in Turn 7 and led at the white flag. But as the duo came to the final hairpin, Crescentini made a move to the inside and the cars made contact, with Crescentini coming away with the lead as Nelson also scrapped the wall before regrouping and crossing the finish line behind Crescentini. After reviewing video footage, series officials ruled the move “avoidable contact” and placed Crescentini in third position, with GT Technik’s 18-year-old Max Root second behind Nelson. In the Diamond Masters class, No. 18 Competition Motorsports pole sitter Mike McAlister held an early lead as Win Ward Racing’s Bryce Ward battled a Platinum class competitor for much of the early going. But McAlister, coming up on a slower car, spun in Turn 7 which gave Ward the lead. TruSpeed Autosports’ Win Lin finished second, with McAlister third. 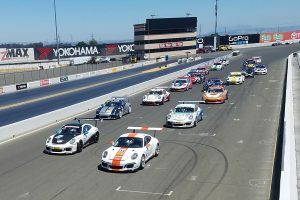 In the Platinum Class (for Porsche 911 997.2 versions), it was the familiar combatants – and teammates – on the podium, as TruSpeed Autosports’ Ray Shahi took the win over Schnur, driving the No. 32 Fuel Safe entry, and Jim Slavik, in the No. 89 Grainger-sponsored Porsche GT3 Cup Car. The Silver Class for Porsche Cayman GT4 Cup machines featured a hard but clean race as Jeff Kearl brought his No. 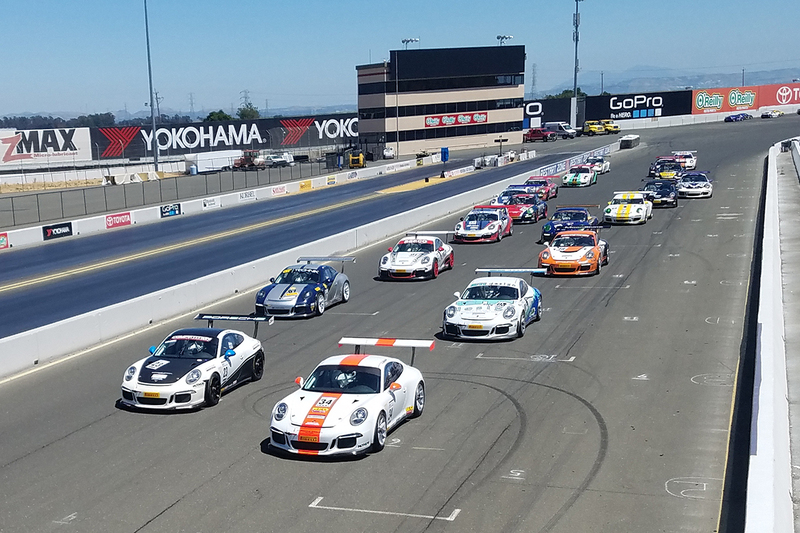 26 Rearden Racing Porsche home from pole position ahead of Competition Motorsports’ Sean McAlister and teammate Ace Robey. Steve Goldman took home his second victory of the weekend in the Silver Masters class, keeping his No. 1 Competition Motorsports Porsche in the middle of the Silver Class battle ahead of Flying Lizard’s Martin Brauns and teammate Carl Tofflemire. Competent Motorsports President Greg Franz was pleased with the weekend’s outcome, especially following the afternoon’s drivers meeting, when series officials spoke with drivers and team coaches and outlined expectations for the afternoon’s racing. 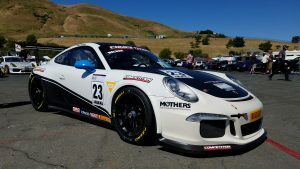 The Pirelli GT3 Cup Trophy USA heads to Utah Motorsports Campus in two weeks for Round 3 of the season June 2 -4, 2017. This entry was posted in News on May 22, 2017 by admin.